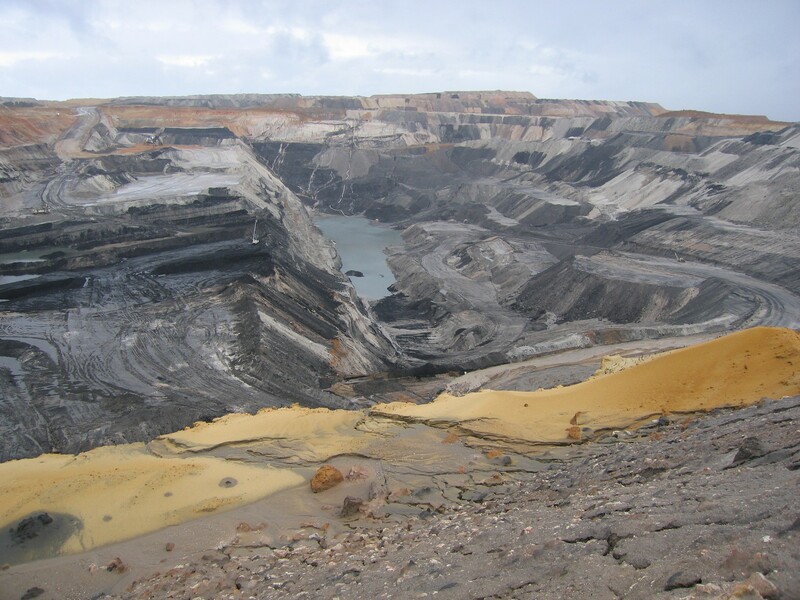 When open-cut mining is finished, there is a void that remains. In the photo below, you can see the Muja Pit in Collie, you can also see that a lake is starting to form at the bottom. Where the void extends into the natural groundwater table, then if the void is not backfilled it is likely that a lake will form. In fact, to allow mining to occur, the company has been removing groundwater by active pumping (dewatering). Once mining ceases, the dewatering pumps are turned off and the groundwater slowly returns to close to its pre-mining height (a process which may take up to 100 years). Why not backfill the void? Generally the answer is the cost, however, there may not be the material available to fill the hole (without digging another one) and there may still be useful ores that are still present that may just not be economical to mine at the moment, so filling the void in effectively removes access to this resource (sterilising it). As the groundwater rises and with inputs of rainwater, a lake forms in the void creating a pit lake. We recommend reading our paper for a good overview of the thrust of our research.